We received this question regarding a failed RAID 5 array. The customer inquired before sending it, and this was their question and our response. Q. I have a RAID 5 that went down suddenly. I’m not sure what happened, but for a couple of days the server was very sluggish. I tried to start backing up the data to another hard drive but it was so slow that it could only copy over a couple of large files in the span of 6 hours. After that, the entire server blue screened and would not boot up. Now it’s showing that two disks have failed. How would two disks fail at the same time, and how can I restore the data? 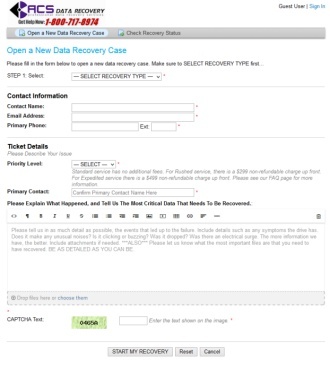 You have a complex problem that cannot be resolved by any means other than professional raid data recovery. If the data is valuable, DO NOT do anything more with the server at all. Don’t try to swap drives, don’t try to reinitialize the array, just leave it alone. If you have two failed disks, you most likely already had one failed disk for a while and just didn’t know it. The fact that the server was responding slowly is a good sign it was already degraded, and then you had a second drive that was starting to fail which made the server almost completely inaccessible. It doesn’t matter how many total drives you have, in a RAID 5, if you have more than 2 of them fail, it’s virtually impossible to get any usable data. So if you were to attempt to rebuild the data, you are going to risk severe corruption to the stripe. A RAID 5 can still maintain normal operation with a missing disk. Unless you have something to alert you to the loss of the disk, it’s not unusual for a server to keep on going and you won’t even notice a problem. Then when you have any type of problem with any of the remaining drives it just crashes the array completely. The root of the problem could be in the hard drives, or it could be in the backplane of the server itself. Either way, you have an array that had a stale drive for who knows how long, followed by a second drive failure. If you don’t know which drive failed first, we would need to get them both operational again so that we can compare the data layout on both. If you try to rebuild the array using the stale drive, then you will have corrupted data. Next we would image each drive in the array to make sure that the original data integrity remains intact. Then we would manually rebuild the stripe, destripe to a single image and then take the destriped image and rebuild the data. That is the process in a nutshell. You won’t be able to do this on your own. 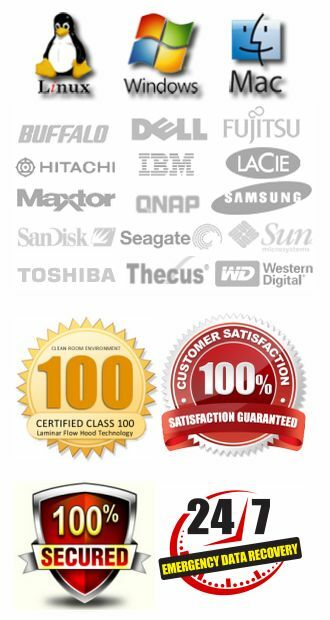 If you need professional data recovery services, don’t hesitate to call 1-800-717-8974. We offer a free evaluation, and in most cases (except in large arrays 6+ drives) there are no attempt fees if the data is unrecoverable for some reason.